It is not possible to replicate the natural beauty of Hayward. The city is packed with a multitude of outdoor activities that keep the visitors occupied and coming back for more. Besides that, Hayward is a great place to live and work. You have just 24-hours in Hayward, that’s it. Must be wondering how to explore Hayward in just 24-hours? Fret not! USAOnline to the rescue! 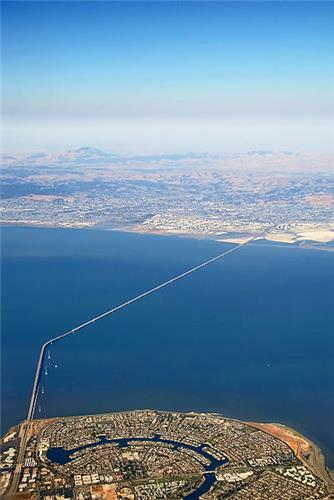 We’ve compiled a 24-hour itinerary that will take you through the “Heart of the Bay”. So, just pack your bags and get on the plane to Hayward to explore its wonderful sights and some lesser-known and hidden treasures. 9:00am- Breakfast at Val’s Burger! Start your day with partake of scrumptious breakfast at the Val’s Burger. It is a classic diner that serves up classic American food. It is known for their take on the tasty burgers. Their specialty is hamburgers, steak sandwiches and cheese burger. Wash it all down with buttermilk shake or a soft drink of your choice. Grab a seat and enjoy the flavors that are hard to beat. Your hunger will be satiated and you’ll be full for the day ahead with the classic breakfast here! 10:00am- Hayward Area Historical Society! Visit the Hayward Area Historical Society that is steeped in the regional history and culture. It features exhibits, photographs, documents and artifacts that depict the history of the city, its neighboring communities and the local residents. It has a history gallery, community gallery, children’s gallery and special gallery. Delve into the past of the Hayward and know about the major events, popular residents, art, culture and natural environment. Next, head to the Japanese Gardens for a serene stroll amidst the wide green spaces, plants and trees. It is the oldest Japanese gardens built in the traditional way in California. It features a koi pond, gazebos, mini fountain, a tea house, shrubs, 70 different plants species and trees, wooden bridges, shaded walkways and granite boulders. It’s an enchanting and beautiful place where you can soak in the beauty of nature, meditate or take a peaceful and relaxing stroll. 12:00pm- Sulphur Creek Nature Center! Interact with wildlife at the Sulphur Creek Nature Center. It is a wildlife rehabilitation center/sanctuary that houses several varieties of animals and birds. It treats about 900 wild animals every year. You can walk around the center and see the animals like foxes, coyotes, red-tailed hawk, vulture, raven, owl, eagles, salamanders, rattlesnakes and other several other animals, enjoy a wildflower garden, picnic area and hiking trails. You can take part in different educational programs that are hosted by the center. Craving for Italian, stop by Acqua E Farina (22622 Main St) or Buon Appetito (917 A St). For American cuisine, head to Buffalo Bills (1082 B St) or Casper’s Famous Hot Dogs (951 C St). Enjoy Chinese fare at China Garden Restaurant (22253 Redwood Rd) or Chef’s Experience China Bistro (22436 Foothill Blvd). Relish Indian food at Favorite Indian Restaurant (24052 Mission Blvd). 3:00pm- Don Castro Regional Recreation Area! Wakey wakey! You may feel sleepy after that delicious and filling lunch! But, it’s time for some outdoor fun. Head to Don Castro Regional Recreation Area that spanning about 101 acres. It offers a variety of activities for people of all ages. It features a clear blue lagoon that is perfect for swimming and boating. Also, there are areas for fishing, picnicking and hiking. Cool off in the clear sparkling waters of the lagoon, lounge on the sandy beach, soak up some sun, splash in the water, have a picnic with family, engage in outdoor games, enjoy catching a fish or go for hiking and spot wildlife, including deer, raccoons and more. Climb up the hill and enjoy the splendid views of Hayward and its surrounding communities. A perfect place to spend time with family! Next, it’s time for some live entertainment in the form of drama, dance or musicals. Head over to Douglas Morrison Theatre to see a live stage show. The facility is modern and can accommodate about 250 people. The theatre offers a great line-up of concerts, plays, dramas, musicals and events. It offers a surreal experience! There’s always something interesting and worth seeing here! 6:00pm- Shop to your heart’s content! A unique experience waits at 2525 Vintage & Modern. It features an impressive and vast collection of modern and vintage apparel, footwear, purses and accessories. Whether you’re looking for an eclectic addition to your wardrobe or a dress piece for a special occasion, this is the spot to go. It boasts plenty of wonderful dresses and accessories spanning the decades. Browse the vintage finds as well as in-vogue trends- items you’ll be hard pressed to get elsewhere. For even more shopping excursion, head to the Southland Mall. Anchored by JC Penney, Sears and Macy’s, the Southland Mall features restaurants and entertainment options, too. Need more? It boasts several retail outlets, including Forever 21, Ross, Bath & Body Works, Foot Locker, Applebee’s, Victoria’s Secret and Gamestop, just to name a few. It offers everything you needs- men and women apparels, beauty items, shoes, accessories, electronics, housewares, toys, sports items, and much more. Enjoy American food at the Home Town Buffet (Southland Mall, 704 Southland Mall). Satisfy your Mexican food craving at Taqueria La Tita (Southland Mall, 15 Southland Mall) or Los Pericos Taqueria (24369 Southland Dr). Dig into the succulent barbecue at Famous Dave’s Bar-B-Que (Southland Mall, 790 W Winton Ave). In mood for Italian food, head to Olive Garden (Southland Mall) and if craving for steak and seafood, stop by Sizzler (24107 Hesperian Blvd). Head to The World Famous Turf Club, the always energetic and hopping nightclub in Hayward. It is a popular night spot among the locals and tourists alike out for a gala time. It features a huge wooden dance floor, karaoke and live music ranging from blues to jazz, rock and soul. After singing at top of your lungs at the karaoke, you can shake your body to the live music while sipping on a drink. Polish off your night in Hayward at the Fernandes Stein Lounge, a hopping hole in the wall that has a funky decor, pool tables, jukebox, darts, plenty of TVs and an extensive selection of cocktails. Enjoy pool, darts and board games or watch the game on the TV while sipping on your favorite cocktail. It is a perfect spot where you can end your last night in the city!